In my recent blog redesign I added the “Start Here” categories on the left sidebar to make it easier to find articles with basic information about self-publishing. Each introduces a stage on the journey to publication with links from the archives of TheBookDesigner. This is the second in the series, and I hope you find something in these articles to enjoy and profit from. The very first thing to do when you start thinking “Should I self-publish?” is to find out what kind of publisher you might become. This decision is critical because it will influence the decisions you make down the road about organizing your publishing business, if you start one, budgeting for your book, and the way the book will be manufactured. What Kind of Self-Publisher Am I? 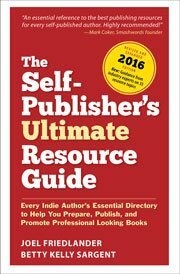 Two Kinds of Self-Publisher—Which One Are You? Now that you know the direction you want to go, it’s time to do some homework. You’ll have to establish your company with local authorities, pick a name for your press, and set up your accounting and record keeping. You’ll be putting in place the infrastructure your new company will need to launch your book. You’ll deal with companies like Bowker and get your ISBNs in preparation for publishing your book. You’re just about ready to start your publishing life. It’s natural to feel a little nervous about the world you’re entering, but pretty soon you’ll feel right at home. Each time you make progress toward publication, or to increase your readership, you add valuable experience. For most self-publishers, this book is the first one they have written and published. It’s daunting to have to learn everything at once. Becoming part of the community of self-publishers, indie writers, editors, book designers, marketers and everyone else associated with indie publishing gives you the opportunity to learn from dozens of experienced people. There’s no other way to say it: Self-publishing can be an exhausting and demanding job, but it’s also satisfying in very unique ways. Sometimes when you’re getting started it helps to remember both sides. And even though we won’t talk about marketing until later in this journey, it’s time for your publishing company and you as an author to have a presence online. The sooner the better. Authority and influence build over time. Next time we’ll take the next step, Planning Your Book.